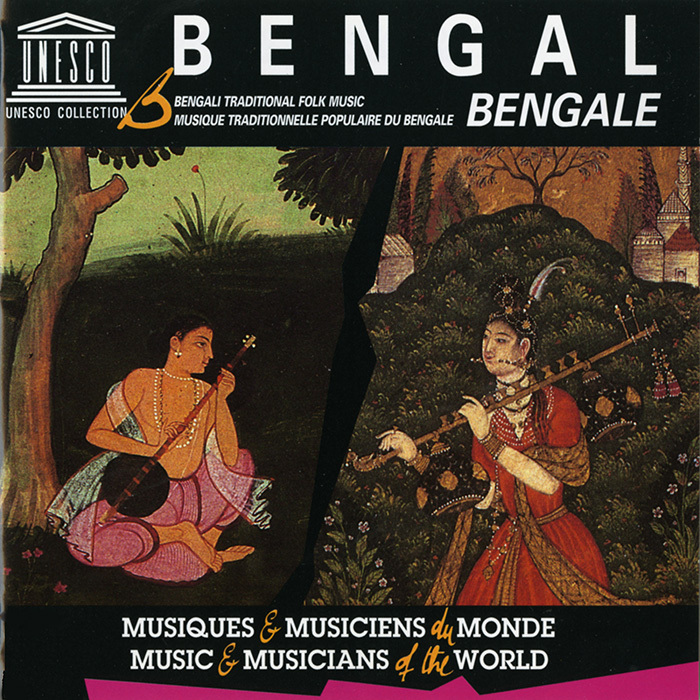 Bengal, a historically important and culturally distinctive region in the northeast of the Indian subcontinent that today is separated by the India-Bangladesh border, is the source of the Baul song tradition. Inscribed on UNESCO’s Representative List of the Intangible Cultural Heritage of Humanity, Baul songs originated from the Bauls—a mystical and unorthodox community of mostly itinerant singers and musicians whose music and way of life are a significant influence on Bengali culture. In addition to Baul songs, the album presents a boatmen’s song (bhatiyali), a bhajan, and a kirtan. Instrumentation includes flutes, drums, cymbals, and small lutes.